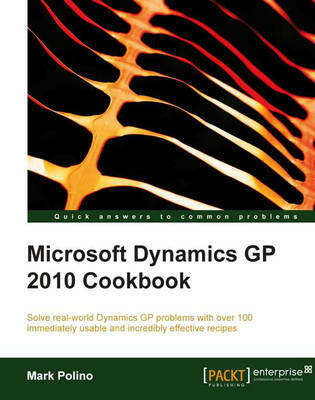 As a cookbook, this book enables you to solve real-world Dynamics GP problems with immediately useable recipes that unleash the powerful functionality of Dynamics GP. The book provides tips, techniques, and solutions designed to show users how to improve their use of Dynamics If you are a Dynamics GP user or Dynamics GP partner primarily focused on delivering time-proven application optimizations, then this book is for you. This book assumes that you have a basic understanding of business management systems, with basic knowledge of Microsoft Dynamics GP. All the recipes are real-world tested and designed to be used immediately.